The 2017 Gurston Down Speed Hill Climb Championships get underway on the Sunday 23rd April. It’s Gurston Down’s 50th Anniversary Season so looking ahead, it should be an exciting year! Sunday is the first of five rounds of the Meadens Skoda Gurston Down Championship and the Cavendish Ship Stores Top Ten Challenge. Both championships were decided in at the final event last September with Stephen Moore taking the Meadens Skoda Championship for the second successive year and Simon Marsh taking the Cavendish Top Ten Challenge. We thank all our sponsors for their continued support! Sunday has around 130 cars and drivers entered which with the motorbikes make an outstanding day. There will be all the sounds, smells, speed and skill you can expect. There will be lots of different cars and classes (and motorbikes too), in everything from your average standard road car, classic and modern sports and saloon cars and purpose built, fast sport and single seat racing cars. 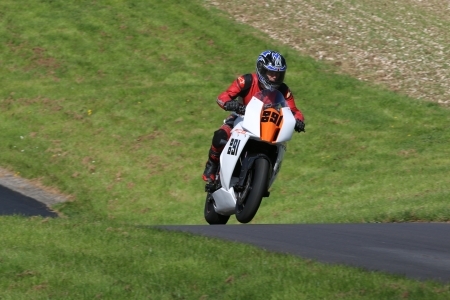 All of them will pit their wits against the fast and twisty course at Wiltshire’s famous Speed Hill Climb Venue and each other. Sunday April 23rd sees Gurston hosts a number of national championships in addition to the two Gurston Championships. The Big Healey and Warwick cars make a welcome return along with the nimble Austin Healey Sprites. 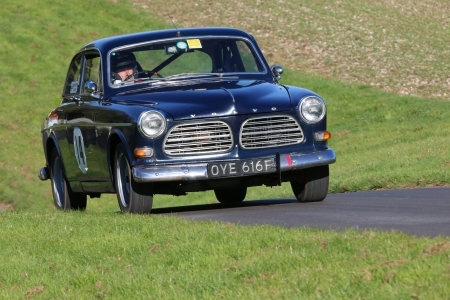 We will have the Triumph Register’s championship and the Volvo Owners Club here too. The 500 Owners Association also have a round of their championship too. 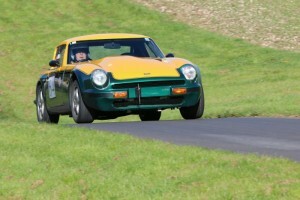 Not forgetting the TVR’s and Classic Marques Cars who have their second event at Gurston having competed on Saturday. The ultimate goal for most competitors is a class victory but some will be in with a chance of the Fastest Time of the Day. Sunday will be just as competitive as ever for this title. There are a number of drivers in contention but weather is likely to determine who will take FTD. Peter D Smith and Richard Gayland in their Force PC will have to work hard to keep Peter Sexton and Jonathan Gates at bay in their Force LM. But we should never discount Chris Cannell in the Force SR8. This will be all about the car and driver on the day! Sunday’s meeting gets under way with the invited classes. First up should be the Volvo Owners Club. With only one entry, Richard Conway will have just the conditions and the hill to contend with. Next up will be the Triumphs. With 12 drivers looking for the win, this will be highly competitive and you will see some class British sport and saloon cars looking to take the awards. 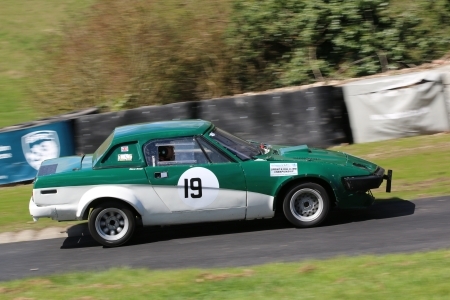 Roderick Warner in his TR7 V8 and Nick Smith in his TR6 are likely to be at the front but you can’t discount John Weedon TR4 or most of the class entry for that matter. The Austin Healey – Big Healey and Warwick Car Class run next. There are eight of these lovely machines entered. Paul Baker and Pat Cooper in their respective 100/6 and 3000 along with Huw Edwards (Mk3) and Peter Walton (Mk1) will lead the charge. They aren’t afraid of pushing their cars and themselves to the limit! 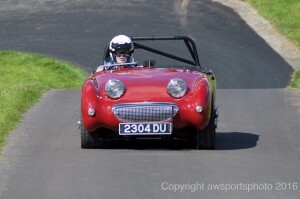 The Austin Healey – Sprites Class follow the big Healeys. There are eight entries. On last years performances, Colin Gale and his Sprite together with Andrew Taylor and Stephen Casson are likely to be in the top three. Just like Saturday, the TVR class looks like it’ll be go down to the wire. There will be some fabulous sound when these cars take to the hill! There is another a huge ‘Classic Marques Speed Championship’ Class. You’ll see everything from a Ginetta G4, an MGB GT, a Marcos Mantis, a Honda S2000, a couple of Mazda MX5s, a Lotus 7, just to name a few of the cars competing. 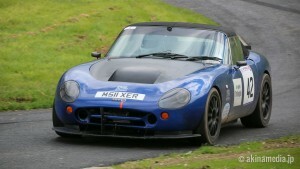 Steve Cox in his TVR V8S is a previous class winner so he should be able to keep everyone else at bay. But you can’t discount any of the other driver / car combinations! Then we have the classes in the Meadens Skoda Gurston Down Speed Hill Climb Championship and the Cavendish Ship Stores Top Ten Challenge. 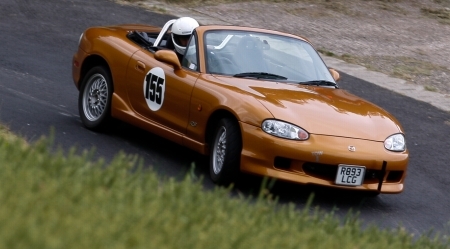 Mark Crookall, the 2016 class record holder and the 2016 class champion in the Gurston Down Mazda MX5 Class, heads up a small class of three cars. Can he win? The Road Going Series Production Class up to 2000cc sees a large entry. 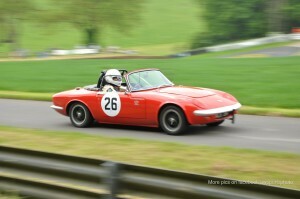 Tim Foster and his lovely Lotus Elan start favourite. Although, Dean Cubitt’s MX5 and Paul Dickenson and his Renault Clio will be strong opposition and we shouldn’t forget Kevin Thomas and his Clio either! Saturday’s event will give some indication of what may happen on Sunday. There might be some surprises. The over 2000cc Road Going Series Production Class will be interesting. 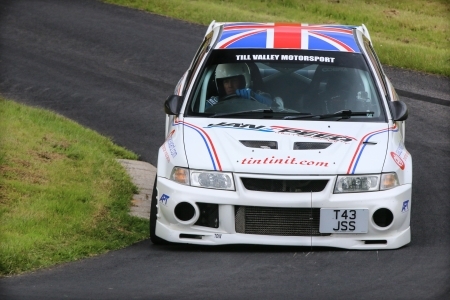 The 2015 and 2016 Meadens Skoda Champion, Stephen Moore bring his monstrous Mitsubishi Evo back to Gurston Down. It’s been worked on during the closed season and will give Shaun and Sarah Fudge’s revised Subaru Impreza a really good run. Stephen will want to score maximum points so he will probably be looking to improve his own class record! The Road Going Specialist Production Class runs next. Clive Skipper in his 2.0 Caterham HPC and Adrian Lewis in his 1.4 Westfield Megabusa, will be looking at the top two places. Based on last year, Adrian might just pip Clive to the win. Steve Butts in his Lotus Elise is the only entrant in the Modified Limited Production Marque Sports Cars up to 2000cc Class. The over 2000cc Modified Limited Production Marque Sports Car Class sees Paul Slade (Jagaur E Type), Bob Mortimer (Porsche 911) and Steve Holley (TVR Griffith) go head to head. Last year, there was just half a second between Steve and Bob. 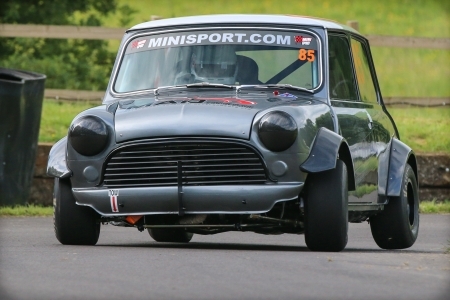 The up to 1400cc Modified Series Production Class has three very fast Minis entered. The form book suggests it will be between Neil Turner or Derek Mullis. But who will prevail? 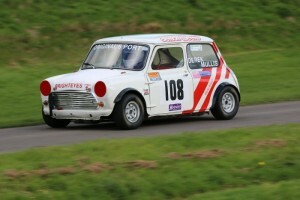 Richard Wood is the only entrant in the Modified Series Mini in his Yamaha powered car. Darren Balster runs his Peugoet 205 in the 1401cc to 2000cc Modified Series Production Class. The over 2000cc Modified Series Production Class, sees that gorgeous Aston Martin Vantage of Tim Painter and Andrew Fraser back on this hill. They are joined by Mark Walker in his 4.0 Porsche Cayman S and Mike Butler in his Toyota MR2. Mike ran a BMW M3 last season so it will be interesting to see which car he brings. This class is wide open. The Modified Specialist Production Class has a four drivers entered. This class could be anyone’s. The Historically Interesting Class always brings out some lovely machinery and Sunday is no exception. Mike Broome’s 1.6 Alexis Mk 17 F3, Jeremy Smithson’s Lotus Elan FHC, Geoff Hunt’s Lotus 22 and Fyrth Crosse’s Mallock U2 Mk2B have all to play for. 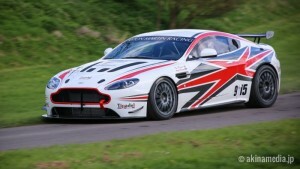 On previous form Firth Crosse should take the win but he has changed his car so it looks like this class is wide open. 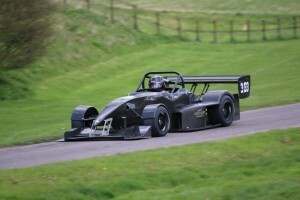 Mark Mortimer in his Mallock17b is the only entry in the Hillclimb Super Sports Class. Peter Sexton and Jonathan Gates in their shared Force LM are joined by the Mallocks of Peter Steel and Luke Trotman in the Sports Libre up to 2000cc Class. This class is likely to be between Peter and Jonathan. 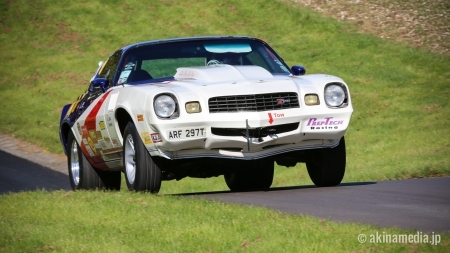 The Sports Libre over 2000cc Class, see the Force SR8 of Chris Cannell and Sue Hayes come to the hill, together will the 7.5 litre Cheverolet Camaro of Jeffrey Way. Chris is likely to take the win but the Camaro is a fantastic sceptical! The two 500 Owners Association go next. There are four cars and five drivers entered in the 2001 Rules class. And just one in the Other Cars class. These are a great to watch and produce some sensational times. Remember they are only 500cc! The 601cc to 1100cc Racing Car Class has a good entry on Sunday. James Moore, Murray Wakeham and the rest of the class will make it a great battle. 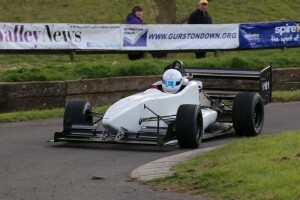 The Formula Ford Class sees Linzi Alley, Gurston’s Treasurer, and her husband Mark out in their Swift FB91. Paul Morcom in the Swift SC93 and the shared Zeus ZR163 of Russell and George Haynes will all be there or there abouts at the end of the day! The 1101cc to 1600cc Racing Car Class puts Peter D Smith and Richard Gayland in their shared Force PC up against thre other car and driver combinations. On previous form, Peter D Smith is most likely to come out on top. But we shouldn’t forget Peter Hammock, Neal Coles or Ian Tucker. This class has some contenders for Fastest Time of the Day. 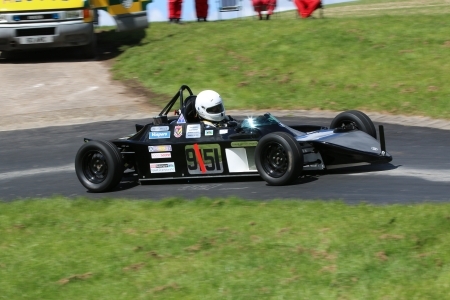 The 1601cc to 2000cc Racing Car (Normally Aspirated) Class has just one two entrant, Dave Lord, in his Quest. 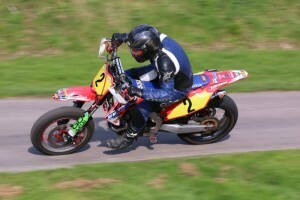 Then we’ll have the riders in ACU’s Motorbikes National Hill Climb Championship. Please check our full Motorbike Preview on our website! 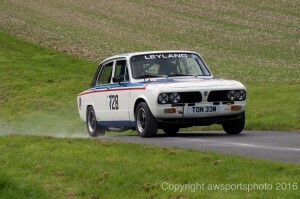 With this variety of cars AND bikes Sunday April 23rd will be an action packed day at Gurston Down Speed Hill Climb.